The district administration of Balrampur in Uttar Pradesh (UP) has, according to reports, decided to use a government aided school’s playground to build a Gaushala (cow shed). The management of Fazl-e-Rahmaniya Inter College School in Pachperwa village of Tulsipur tehsil has decided to take up the fight against the move which would take away the only decent playground the village’s children have to train in many sports, including volleyball. The district administration, in its order, states that the land belongs to the Gram Sabha, and has threatened the school authorities with police action if they don’t vacate the land. The school, on its part, claims that the 2.3 acre land is registered under its name, according to a report in the Indian Express. 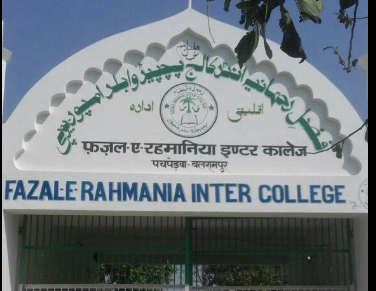 “During a visit to Balrampur in 1977, ND Tewari donated the land to the school after he was impressed by the students’ performance,” Mohammad Ismail, principal of the government-aided school, was quoted by the Indian Express in its report. “We have been using this land for more than 40 years. It is registered in the school’s name in Khasra Khatauni documents. However, the administration is adamant about building the Gaushala, and Tulsipur Sub-Divisional Magistrate Vishal Yadav said the land was lying vacant for many years now and the school started using it as a playground. “Many schools do this, students start using nearby land for sports and games. The land does not belong to the school,” he insisted, indicating that the school management was trying to capture public land. Meanwhile, the school teachers and students led a protest march against the move by the authorities. Fazl-e-Rahmaniya school has apparently produced a few talented volleyball players who have went on to represent the state in national level competitions. The school’s manager, Shariq Rizvi, said that the playground was being used by many youngsters to train and taking the land away would nip their sporting careers right at the budding stage. “The authorities can build the gaushala anywhere,” said Rizvi. “Why are they taking away land which is being used by the school? Several of our students have represented the state in sports, two had recently represented Uttar Pradesh in volleyball. Why should the administration take career opportunities away from them”?